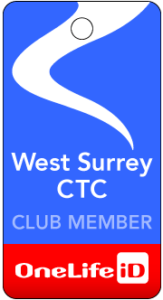 We have an opportunity to make a block WSCTC booking for a track session at the Lee Valley (Olympic) Velodrome in Stratford. This would involve an 80 minute exclusive session for 16 riders, to include bike/helmet hire, instruction on velodrome cycling, and the chance for each rider to do an individual timed lap and see their name up in lights on the scoreboard. Anyone who has had the chance to cycle at the Velodrome before will know that it is a great experience. 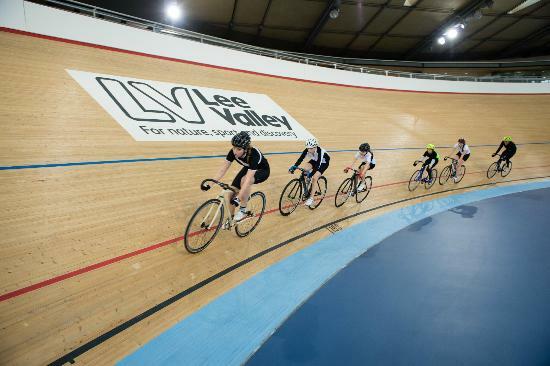 I have made a provisional reservation with the Velodrome for a session at 6pm on Friday 2 February, but need to get back to them to confirm this very shortly. This would allow us to get to the venue without too much involvement in the rush hour crush, and to finish early enough to enjoy some much-needed refreshment after the session. The cost would be £53 per person. Payment will be required in early January, but for now I just need a firm commitment from enough willing participants. It could even be a good idea for a Christmas present if someone close to you is struggling for inspiration! (If for any reason I miss out on the 2 Feb slot, it should be possible to re-schedule for an alternative time). , or a text or WhatsApp message to me at 07711 873924. If I receive enough positive responses for the 2 February date, I should be able to get the booking confirmed straight away. There are only 16 spaces, so please respond quickly to avoid disappointment! I would be very interested in the velodrome and can make the Feb 2nd date. If you find you don’t get enough responses, I may know one or two others who would like to come along. Thanks – you’re on the list. The response has been pretty good so far (just 5 slots remain free) so I’m hopeful we will get a full set of WSCTC riders. But will bear your offer in mind.